Hi, I’m Lucy! I’m currently in Year 13 at Stroud High School and have a strong passion for the performing arts. I attended the first ever Dazzle when I was six and my first Dazzle show was “The Mountains of Tibet” playing the part of a ‘little girl’. Inspired by this, I have played many roles at Dazzle and at school including: Sleeping Beauty in Sleeping Beauty, Jojo in Seussical, the Baker’s Wife in Into the Woods, an Ugly Sister in Cinderella, Annie in Annie, Princess Jasmine in Aladdin and the Ghost of Christmas present in A Christmas Carol. My favourite was Annie as it had been my dream to play Annie on stage ever since I saw the film when I was three! The songs are all brilliant and I loved the chance to sing “Tomorrow” under the spotlight! I was also given my first bouquet of flowers! At school I am studying for Drama at A level alongside English Literature and Geography. I have won numerous trophies in singing and drama including my school’s Outstanding Contribution Award to the Performing Arts, ABRSM Grade 8 singing with distinction and distinctions in LAMDA exams grades 4-6. Lucy is currently stage managing for ‘We Will Rock You’ at Stroud High School. Lucy has enhanced DBS and first aid training through Dazzle. Ever since I saw my mum perform as Wendy in Peter Pan the Musical when I was 5, I knew I had to perform! For as long as I can remember I have been involved in theatre, and as the older I got my passion for acting grew. I performed in every show at my secondary school, taking part in the Young Shakespeare Festival several times at theatres such as the Everyman Theatre and the Tobacco Factory. I won Best in Year for Drama several years running and had the amazing opportunity to be Head Girl in which I focused on giving more opportunities to the Performing Arts Department. At Sixth Form I was ‘Head of Drama’ where I ran an after school drama club for Year 7, 8 and 9’s, directed ‘The Lion King’, organised theatre trips as well as the first ‘House Performing Arts’ in which I gave students who had artistic talent to represent their house. 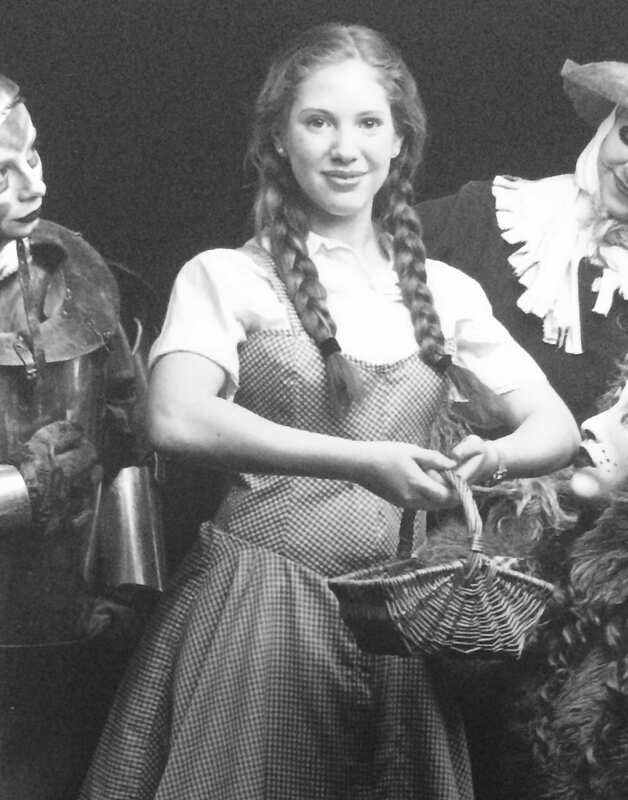 Over the years, some of my favourite roles have been Portia in ‘Merchant of Venice’ and Susan in ‘The Lion, The Witch and The Wardrobe The Musical’. I am also soon beginning a degree in Drama and Acting which I am really excited about. I have always felt very strongly about the power of theatre and how everyone should be given the opportunity to experience the confidence it can bring. I have been a member of Dazzle since the day it started and have been helping as an assistant since I was old enough. 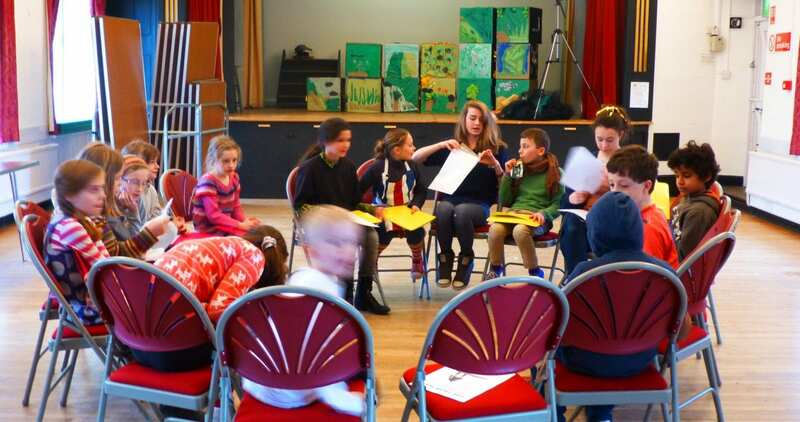 I feel that Dazzle is a perfect way for children to explore in the arts in a comfortable and positive environment and I love being able to explore my passion for acting and teaching drama. I’m currently in my lat year studying Psychology at the University of Sheffield. I have been dancing all my life and have continued to do so at university, taking street jazz and contemporary classes. I will be performing in the end of term show in May. 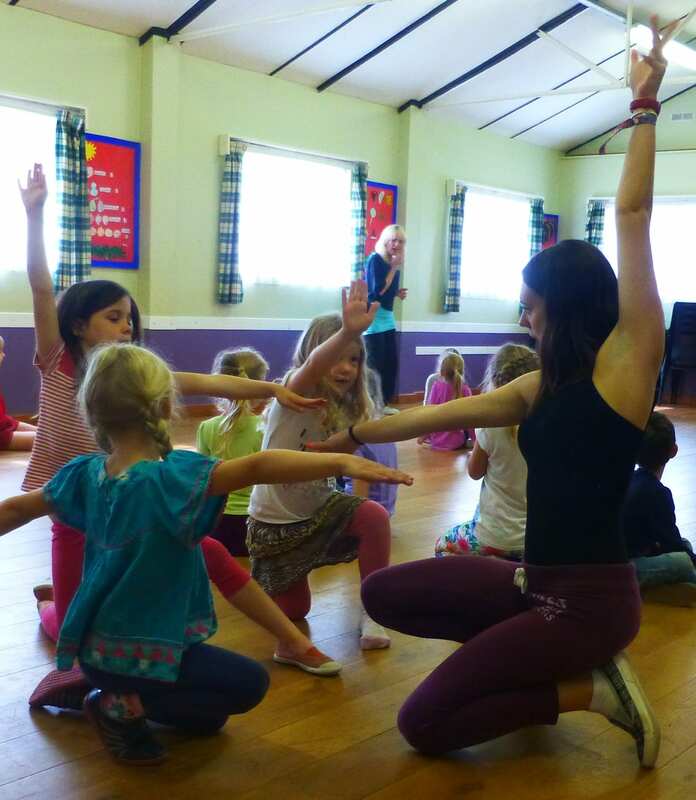 Working with Dazzle is a wonderful opportunity to combine my love of dancing with the joy of teaching and supporting the children. This is my fifth year working with Dazzle and it never fails to be thoroughly fantastically fun! 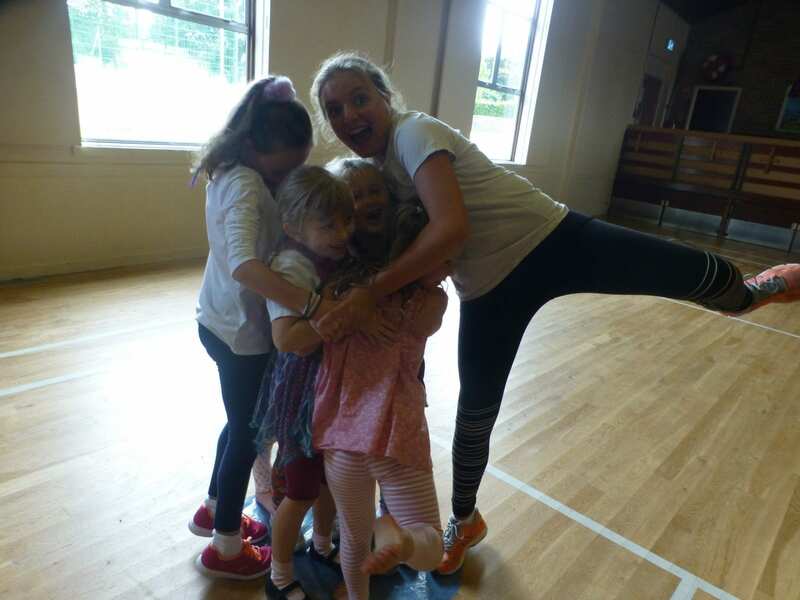 Carys has Enhanced DBS through Dazzle and when we are lucky, Carys re-joins the Dazzle gang during holiday clubs. I have been addicted to performing my whole life. I have participated in many Dazzle productions over the years and always thoroughly enjoy the workshops, parties (Lady Gaga, Wizard of Oz and Matilda themes) and other performances. Other shows I have participated in include Stroud High School productions (Romeo in Romeo and Juliet, July 2016; Grammy Norma in The Lorax, July 2015) and at Cotswold Playhouse (Dove in Cinderella, January 2015; Snow Princess in The Snow Princess, December 2015) and with Dursley Operatic and Drama Society (Frenchie in Grease, October 2016). 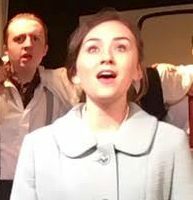 In 2016 I have achieved a distinction in musical theatre singing grade 6, a distinction in LAMDA drama solo grade 3, a distinction in LAMDA drama group grade 4 and passed my clarinet grade 4. I also do trapeze, ballet and yoga in my spare time. I hope my enthusiasm is infectious as I now help out bringing Sarah’s creations to life! Hi, I am 15 and if you want to know about me, you will learn to know that i love drama! 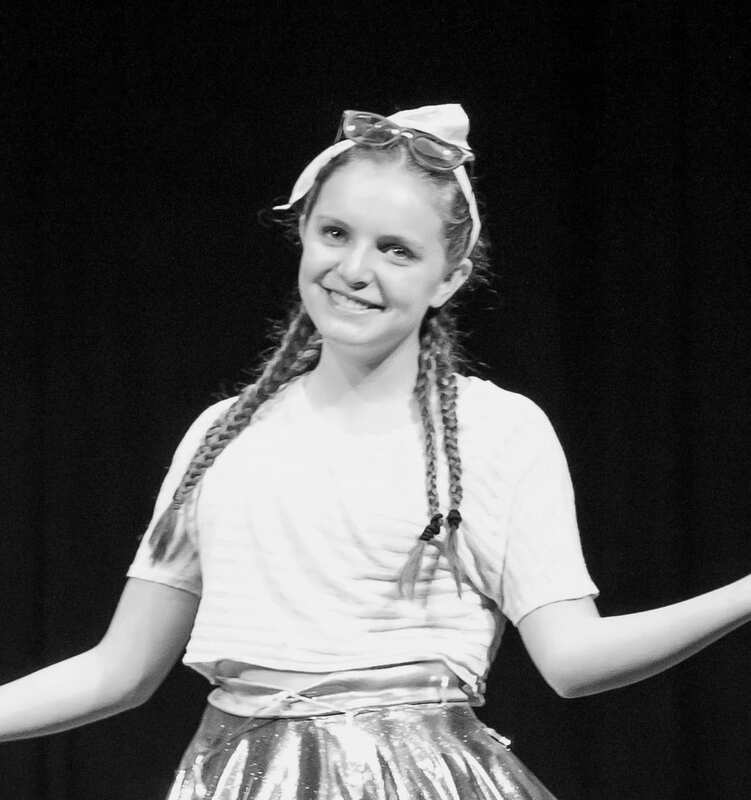 I am doing gcse drama, speech and drama lessons- which i am grade 6, i am involved with every school production and i help teach the prep school drama students! As well as this i also compete in drama competitions and festivals. I also play lacrosse and am the goalie of the U15 team rotating with the U18 team. 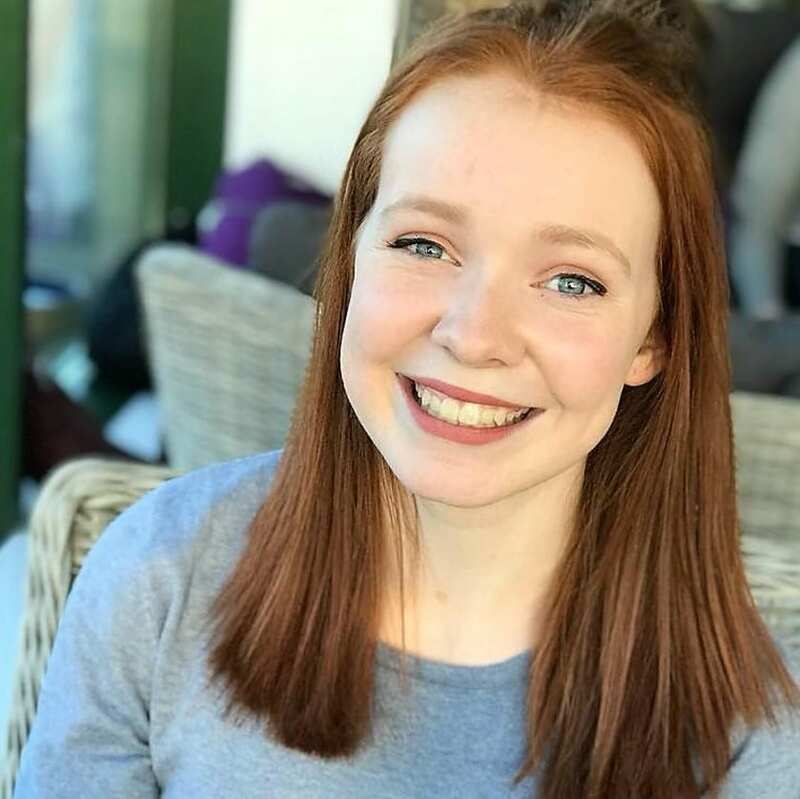 For gcses, at the moment i am studying drama, music which i am grade 6 singing and in all the choirs in school, french and triple science as well as all the normal. I’m not sure what A levels i will do at the moment, the only one I’m certain on is Theatre studies! I know this sounds cheesy but i feel like drama is my life haha! i love all aspects of drama but my most favourite type of acting is emotional, strong and serious stuff! To describe Dazzle is very difficult in a short paragraph! It is fun, bonkers, crazy, busy, tiring, rewarding, active, wonderful and an absolutely amazing place to learn so many skills necessary in later life. I have been helping out there since I was 16, I am now 23 and I have yet to do a workshop where the kids haven’t surprised me by how much they push and strive to create amazing things. I leave Dazzle after every workshop feeling worn out but so proud of what the kids have achieved. The job satisfaction is brilliant, and Sarah is great fun to work for: wacky, energetic and a great laugh. I would recommend Dazzle to anyone who wants to have fun, learn some skills and work with a great bunch of kids and helpers. What’s not to like? Working with dazzle over the years has been an incredible experience, not only working with Sarah and the other fabulous assistants but also getting to know all the talented and inspirational children! I had great fun helping at the dazzle workshops and learned a lot from it!